jawa von cherié: I AM TURNING INTO A HOUSEWIFE! Today when I woke up I got a sudden urge of baking?! It is so crazy, because I never get that kind of urge to do something as baking but I really want to bake something, perhaps cupcakes, a pie, or make a whole big cake?? But I am into some fudge cakes.. I dont know, I am going to search online for some recipies and then just go from there. 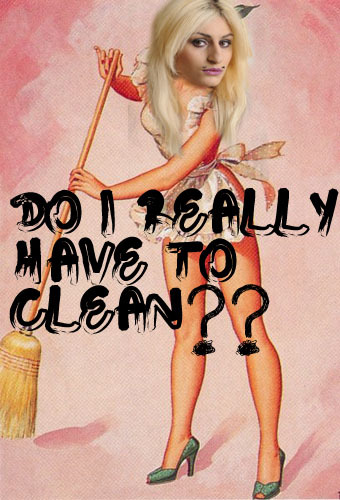 Also, I have this feeling that I want to clean my entire home, haha, feels like I am turning into some kind of housewife or something.. Not good. Later on the evening I might have some SPA-time, just taking care of myself, I usually have that one day at a week and I noticed that I haven't had that for a while since I was so busy with my school stuff, but now I am free and having a holiday, so I can do whatever I want and whenever I want!! These past days I have only been at home, I haven't even gotten out yet.. I just watched a movie after a movie.. NO, I cannot go on like this, I need to pull myself together and go out soon or else I will go CRAZY?! Almost all the pictures are borrowed from weheartit.